The Yarra Valley is the perfect place to holiday, celebrate a special day or just to enjoy the many world-famous winery restaurants. If you are looking for a classic, yet contemporary winery to spend a relaxing afternoon, then visit Domaine Chandon in the Yarra Valley. Nestled in the heart of the Yarra Valley, Domaine Chandon is one of the most beautiful wineries in Victoria. After the recent renovation of the venue, the winery has been revamped with a modern yet provincial design to represent the tradition of the region. Selling a range of sparkling wines as well as Rose, Shiraz and Pinot Noir varieties, Domaine Chandon is truly a leader in wine production in the Yarra Valley. Come here for a tasting and be treated to an authentic French experience. Learn from a professional about traditional French methods of wine production and taste some of the best sparkling wines in the region. 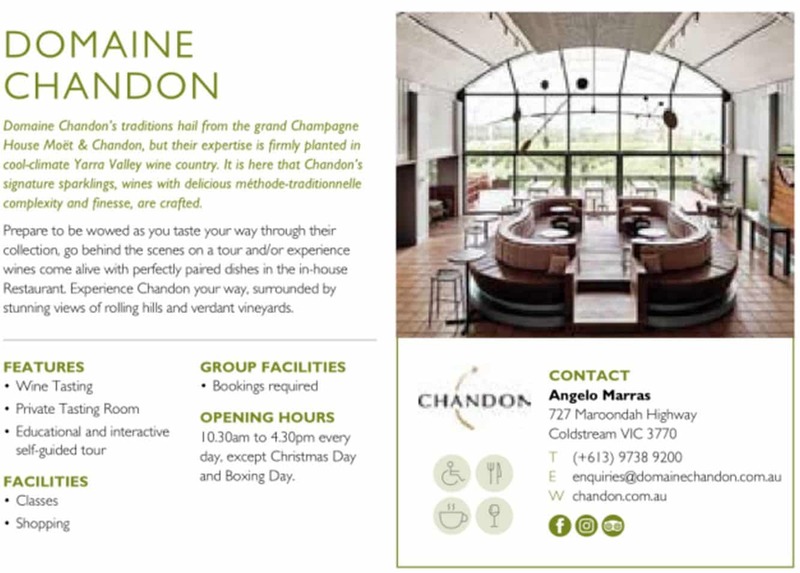 Adjoining the Yeringberg Hill, Domaine Chandon overlooks the Yarra River, therefore the winery offers a number of scenic walkways to the adjacent hill ranges, river and the lush meadows. Stop by for lunch at their onsite restaurant Greenpoint Brasserie which serves a range of European dishes as well as providing a 270-degree views of the beautiful Yarra Valley. If you are looking for accommodation during your stay in the Yarra Valley, click on the link below to find the best accommodation deals. This is a popular winery, therefore I recommend you book. You can book online here. 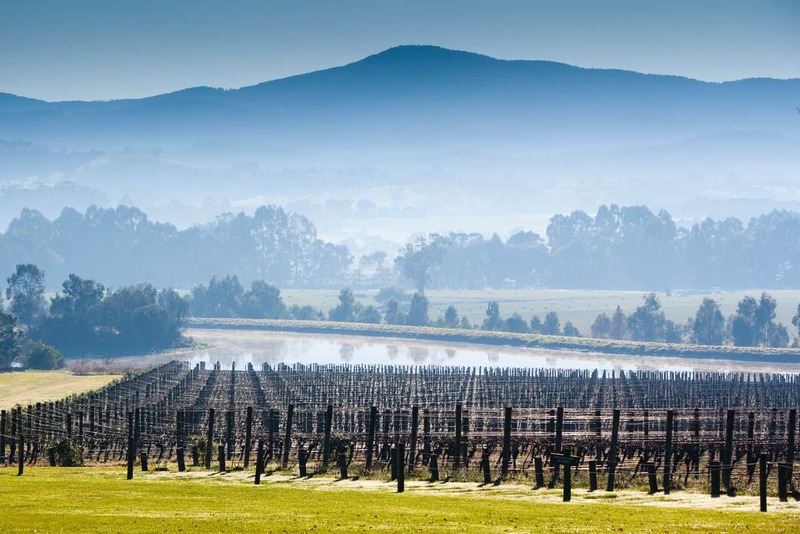 Enjoy your day in the Yarra Valley!